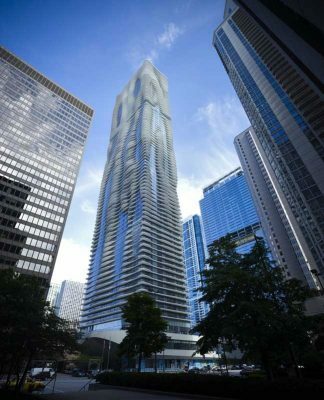 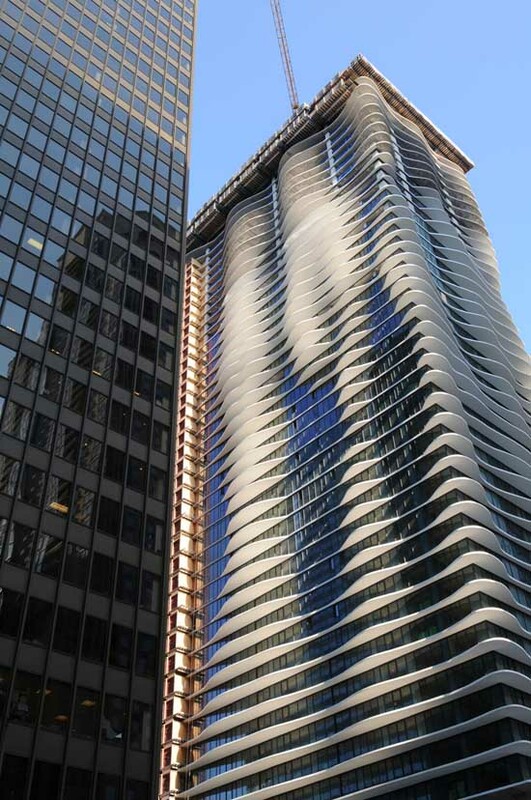 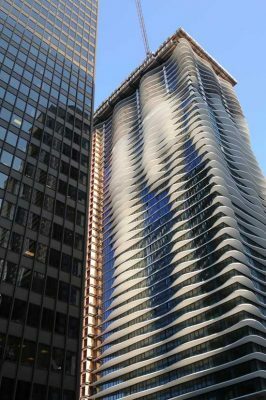 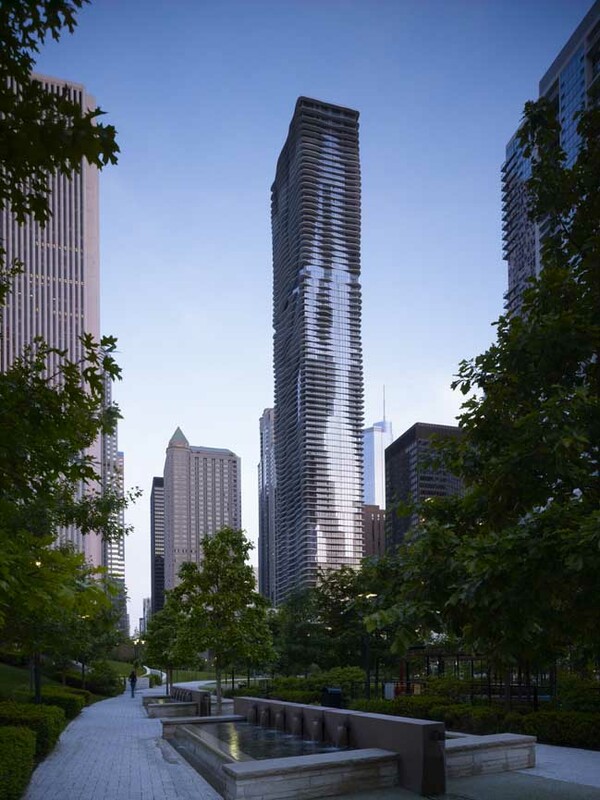 Totaling over 1.9 million sf, Aqua Tower is an 82-story mixed-use high-rise that includes a hotel, apartments, condominiums, parking and offices. Among the building’s notable features is the green roof terrace atop its plinth—which at 80,000 sf is one of Chicago’s largest—and contains an outdoor pool, running track, gardens, fire pits and yoga terrace. 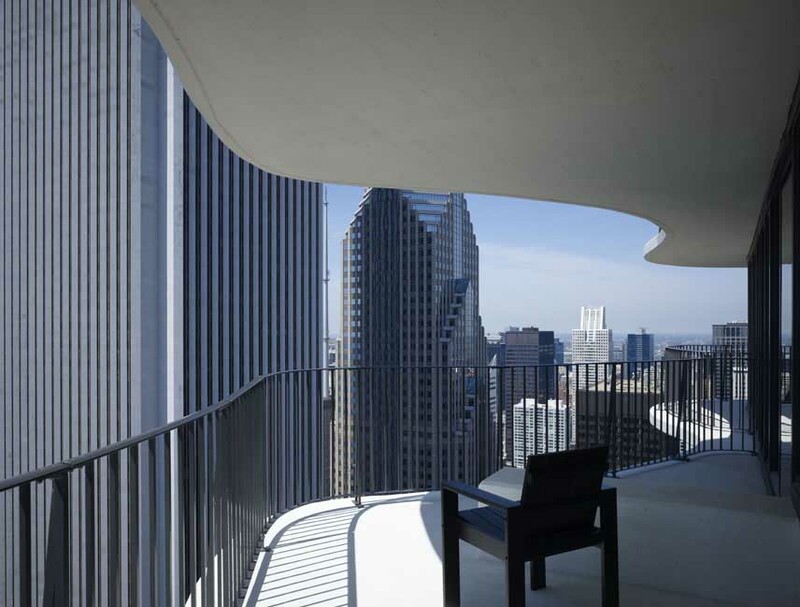 A series of contours defined by outdoor terraces extends away from the face of the tower structure to provide views between neighboring buildings. 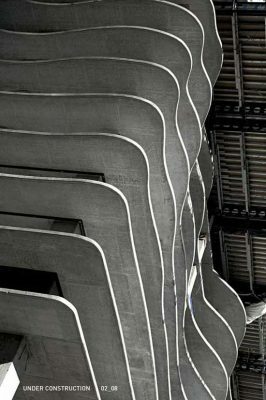 The terraces inflect based on criteria such as the view, solar shading and size and type of dwelling. 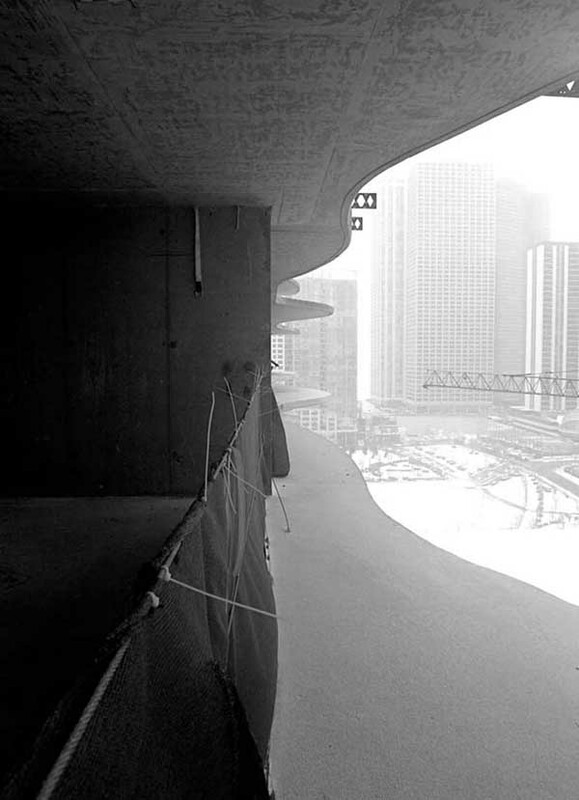 Early and close collaboration between architect and builder, as well as the use of contemporary digital tools, allowed the variation in the shape of the floor slabs to be achieved without increasing the building’s construction timetable. 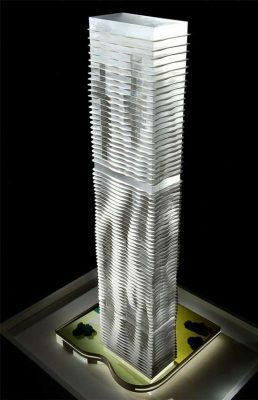 The result is a high-rise tower particular to its site that allows residents to inhabit the facade of the building and the city at the same time. 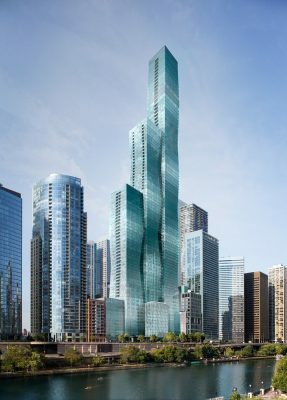 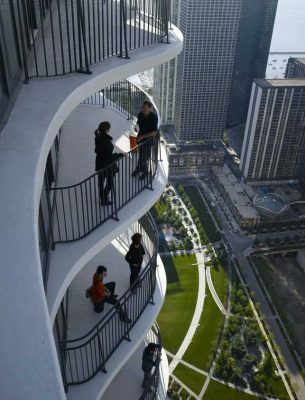 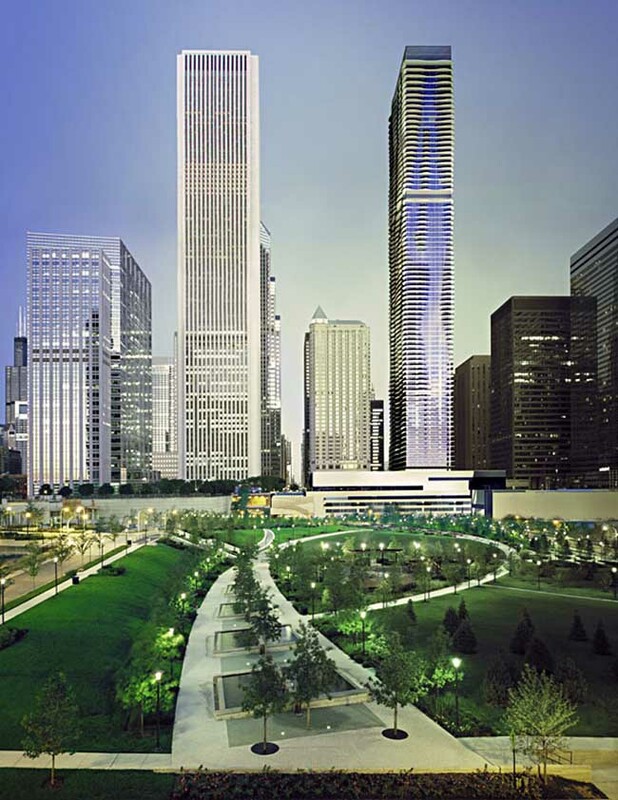 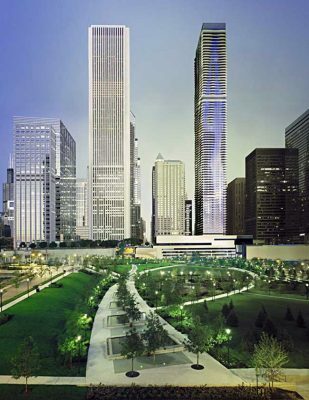 In an increasingly dense city like Chicago, views from a new skyscraper must be negotiated between existing buildings. 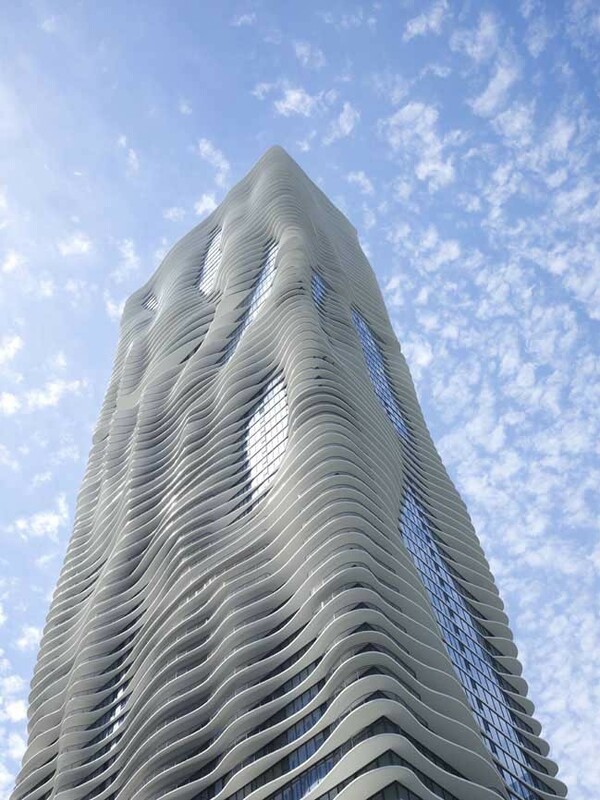 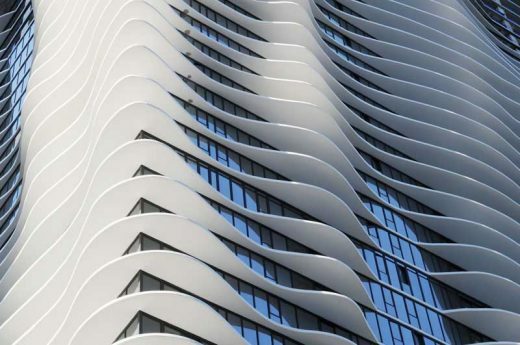 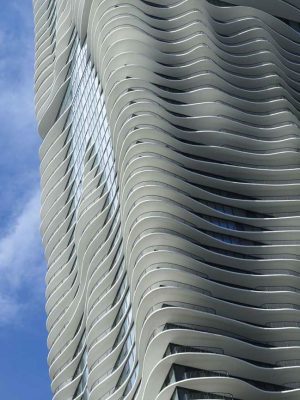 Aqua tower considers criteria such as views, solar shading and function to derive a vertical system of contours that gives the structure its sculptural form. 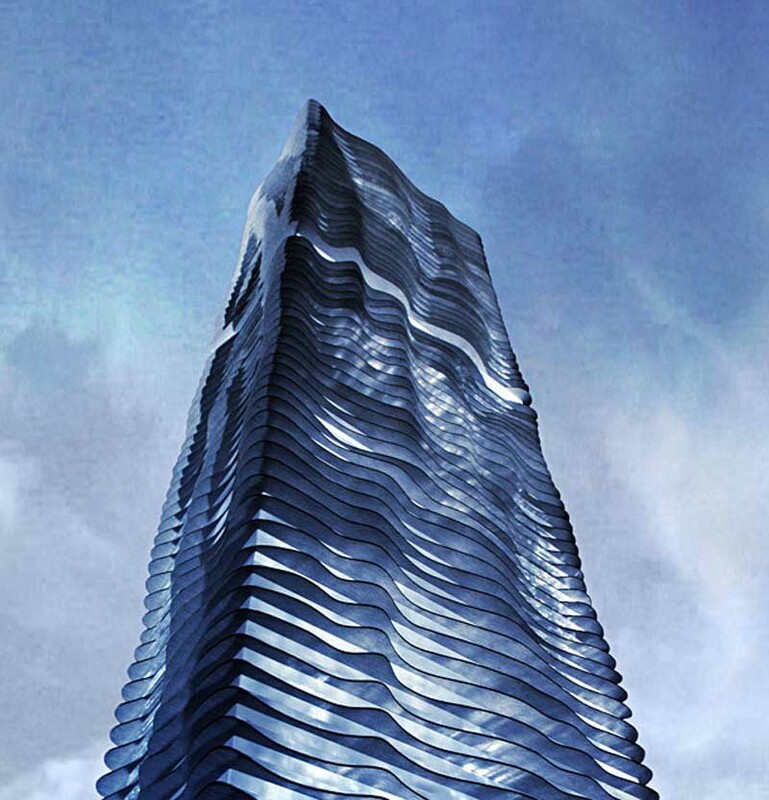 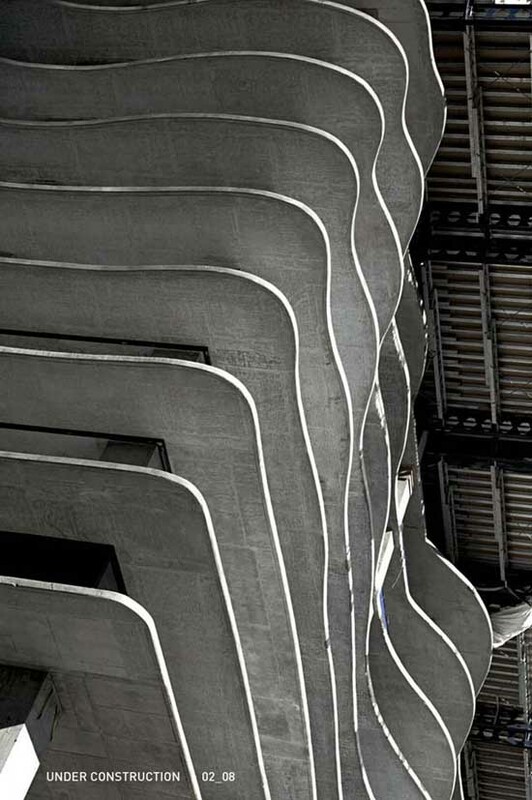 Its vertical topography is defined by its outdoor terraces that gradually change in plan over the length of the tower. These terraces offer a strong connection to the outdoors and allow inhabitants to occupy the building façade and city simultaneously. 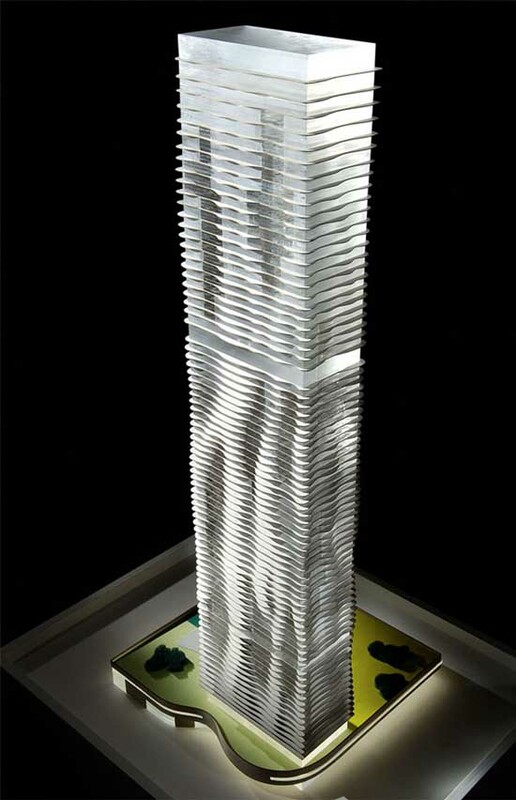 The result is a highly sculptural skyscraper building when viewed obliquely that transforms into a slender rectangle from further away. 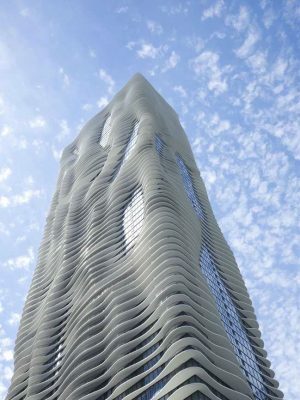 Its powerful form suggests the limestone outcroppings and geologic forces that shaped the great lakes region.